What are the health benefits of Wheatgrass Powder? Helps resolves digestion related problems such as Diabetes, Piles (Haemorrhoids), Colitis, Acidity, Ulcers, etc. Helps in combating diseases such as Cancer, Paralysis, Leukaemia, Arthritis, Insomnia, Asthma, Menstrual problems, etc. Highly effective for weight loss and weight gain along with diet plans. Wheatgrass contains no fat and is low in calories. It suppress your appetite but does not cause fatigue which is often a challenge for people trying to lose weight, particularly if you are not eating much. Paste of Wheatgrass Powder made with milk & a pinch of Turmeric applied like a face pack helps overcome skin problems such as Acne, Black / White heads, freckles, skin tan / burn, etc. Helps enhance beauty, increases skin glow & muscle tone. Health rejuvenator: Deficiency of Enzymes is the root cause of premature ageing. Wheatgrass contains Enzymes which cleanses your blood and helps rejuvenate aging cells, slowing the aging process way down, making you feel more alive right away. It acts as a very effective energizer and health rejuvenator. Wheat Grass helps combat Cancer: Wheatgrass contains high amount of Chlorophyll and research shows that presence of Wheatgrass Chlorophyll reduces the harmful effects of radiation. It is therefore recommended to many cancer patients during chemotherapy / radiotherapy. High dietary fiber present in wheatgrass powder helps flush out toxins from digestion system & reduces the side effects of heavy antibiotics or medication usually given to Cancer patients. is difficult to transport long distance Best before 1 year from date of packaging. Can be transported anywhere. Organic Quality May contain harmful pesticide / heavy metals residue if not grown in organic method. 100 % Chemical free, Certified Organic product. Convenience Tedious to make juice & difficult to grow in all climatic conditions / seasons. Easy to carry & ready to use. Have your Wheatgrass shot anywhere, any time! Cost Cost for 1 glass per day for 1 month = Costly. 100 g bottle = 1 months course. Costs less than a month’s supply of fresh Wheatgrass juice. Efficacy – overall results. Wheatgrass Tablets are less effective than Powder. 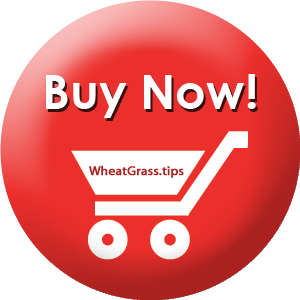 Wheatgrass Powder is the most effective than Tablet or Sachets. health are usually not liked by the tongue. compared to it in Tablet form. Comparison of Wheatgrass Powder in Sachets V/s Bottle packing. Wheatgrass Powder in Sachets packing. Wheatgrass Powder in Plastic bottle packing. bottle remains safe in all climatic conditions. that is the most effective than Tablet or Sachets. Then why people ask for it? Convenience – easy to carry, requires less space & gives exact quantity. May be a little inconvenient to carry but the Wheatgrass Powder in bottle packing is likely to be more result oriented than in sachets.